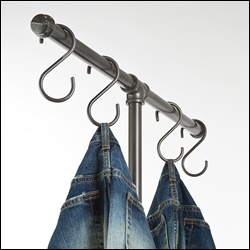 Using pipe for clothing racks has been popular in New York's garment district for over 100 years. 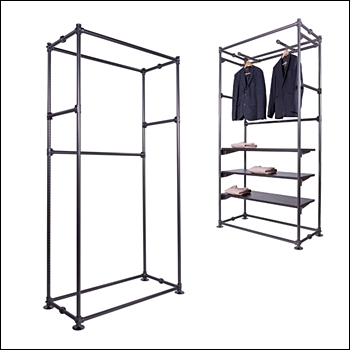 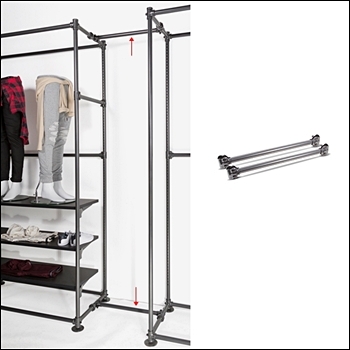 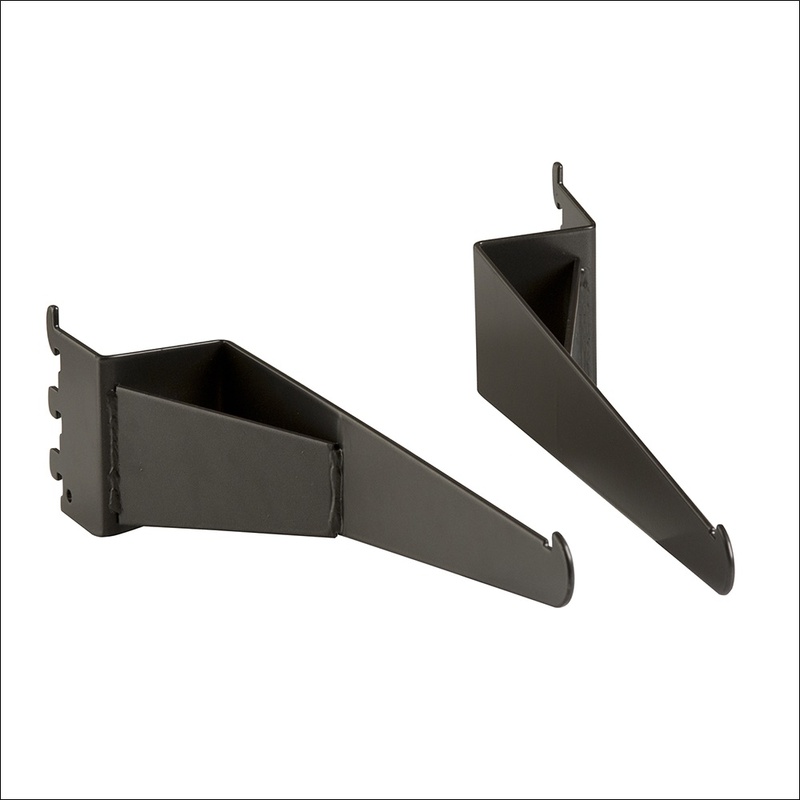 Our version of a pipeline rack incorporates pipes and connectors to allow for easy and flexible merchandising. 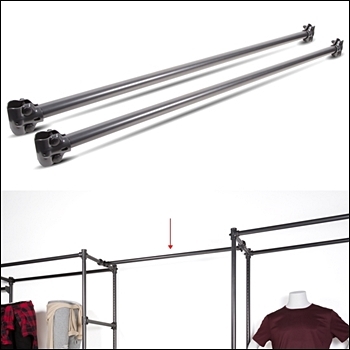 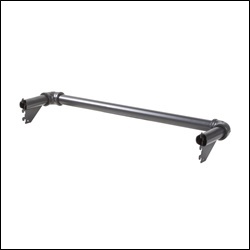 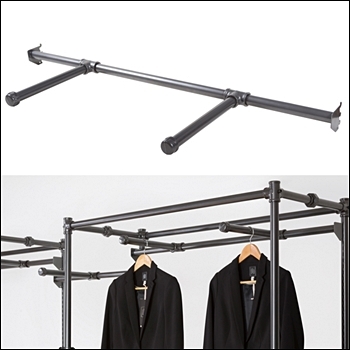 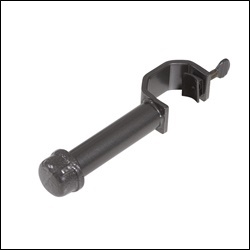 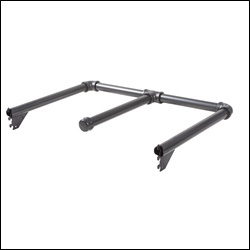 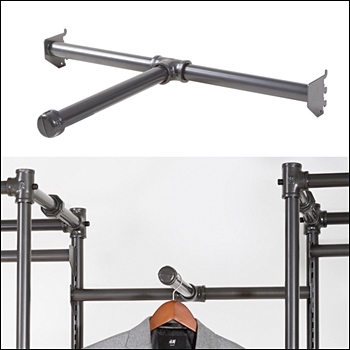 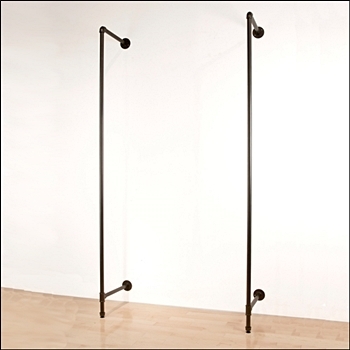 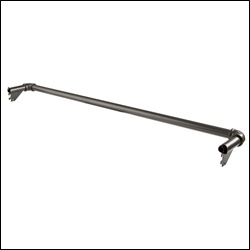 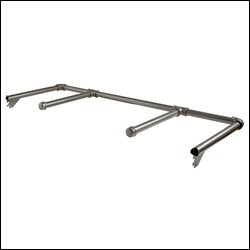 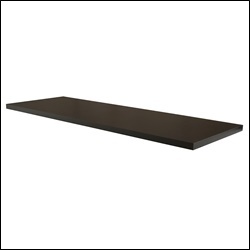 The standard off the shelf outrigger display is 90" high and has universal slotting to accomodate accessories such as u-shaped clothing hangbars, brackets for shelving and faceouts.